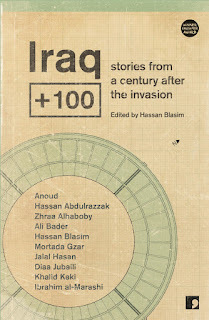 For the December meeting of Think Galactic, we discussed Iraq+100, edited by Hassan Blasim. 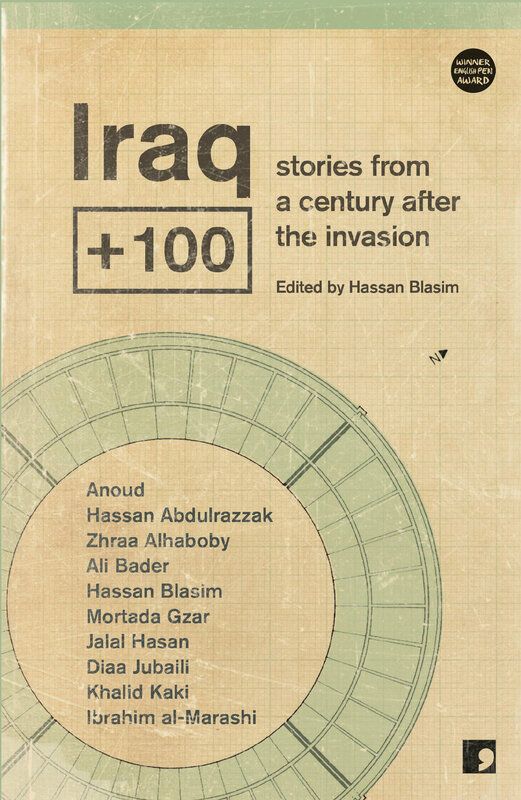 The aim of this project was to get Iraqi writers—not necessarily science fiction writers—to set stories 100 years after the American invasion. The result is an interesting spread of stories. "Kahraman" by Anoud: we found this kind of frightening, because it's so much like today, which is ks kind of nihilistic. We also talked about the media/colonial problem of needing “perfect victims” (needing our victims TO be perfect to be convincing), and talked about real-life examples like Cyntoia Brown and Sharbat Gula. We were a little thrown by just HOW Western-facing this is; we got very little feel of the cities and cultures that the stories are set in. We also had the general comment that most of these stories were less science-fictional than we might have wanted; however, the better stories had some fantastic, surrealistic, or magical-realist kind of effects. We liked the editor's introduction quite a bit; you can read the whole thing on Tor. Interesting recurrence of Chinese power in a few of these stories. We compared this to Octavia's Brood, another purposefully-collected anthology with pieces by non-sf writers (which we discussed a while back), noting some recurring style elements like heavy use of infodumping. Lots of discussion of “Kuszib” by Hassan Abdulrazzak, which was at the very least extremely vivid. Some found it enjoyable from a vegetarian/animal-rights perspective, as the use of humans for food can be seen as commentary on our current commercial carnivory, although obviously the main read here is on a "consuming" occupying force. Lots of discussion of the “polymorphous perverse alien”, and compared it somewhat to Tiptree's “And I Awoke and Found Me Here on the Cold Hill's Side” (which you can read on Lightspeed, btw) and Butler's Xenogenesis trilogy. We also talked about the cultural chauvinism, the depth and kind of self-blind nature of exploitation and resource-extraction, and made further comparisons to Planet of the Apes. We also spun off an interesting digression about alien invasions that start in cities not recognized as the “big major Western” types. Compared to Okorafor's Lagoon for this, and also got us researching all the megacities of the world that we rarely see portrayed. the first comic artist to put the word "snot" in print. We were kind of intrigued by the idea that there's not a lot of SF/F in the Arab literary world, and talked a bit about tradition of subversive literature hidden within SF/F in oppressive regimes—the Strugatsky brothers in Soviet Russia, Yoss in Cuba, the rich history of Chinese SF that is starting to be made available to English speakers. None of us were familiar with Hayy ibnYaqdhan, alas. 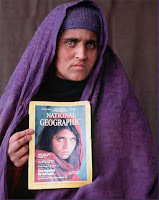 We liked “Operation Daniel” by Khalid Kaki and the theme of resistance, “going out singing”. Presented without comment: “the Revolution doesn't wear Tevas”. Keep up with Think Galactic on their website and Facebook page, and be sure to check out our gracious hosts at Myopic Books in Wicker Park.